Our Flexi-Tanks are the result of unrivalled skill and experience. All stages of Manufacturing, choosing fabric and accessories are strictly monitored. 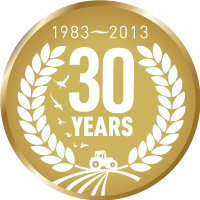 This is why our products are made by a ISO 9001:2008 manufacturer. 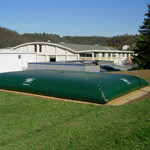 We offer Flexi Tanks for Liquid Fertiliser, Water Storage, Firefighting Reservoirs, Rainwater Harvesting, Farm Effluent. The tanks are made using high frequency (HF) welding. The high strength Polyester technical fabric is coated with several layers of PVC. The double sided coat is UV stabilised. 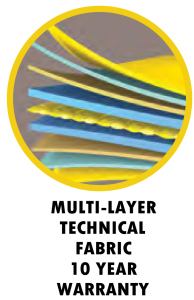 A specific fabric is used for each application, guaranteeing long term storage characteristics. 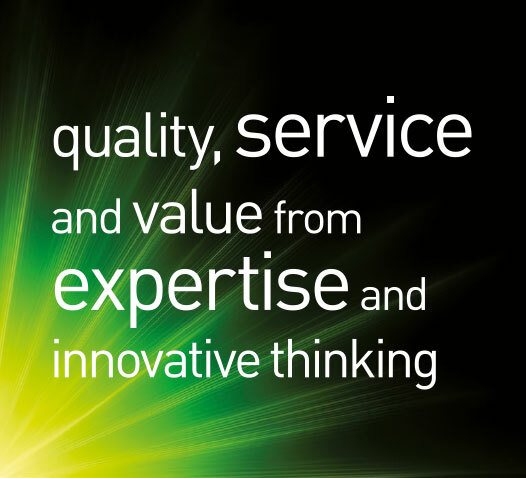 We have also developed a complete range of accessories for different liquids and uses, covering a wide range of applications. The bands of Fabric are assembled in a specific geometric formation that guarantees that the tanks are self supporting. A Flexi-tank needs to stand on a perfectly smooth horizontal surface. The platform must be clean and stable, with no protrusion. 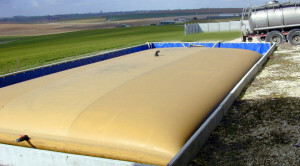 A protective mat can be used to insulate the tank from the ground. Tanks can be used permanently or temporarily. We recommend that retention equipment is used, which is often imposed by national regulations. This can be either a pit on a slope, or a basin with a breeze-block wall with preformed lining on the upper surrounds fixed with eyelets. With the quality of our product and correct installation, protection of the environment is guaranteed. 30’000 ltr tank for storing 1 truckload of Nitrogen. No:3 One DN80 Angled filling point with 3” Connector of your choice. 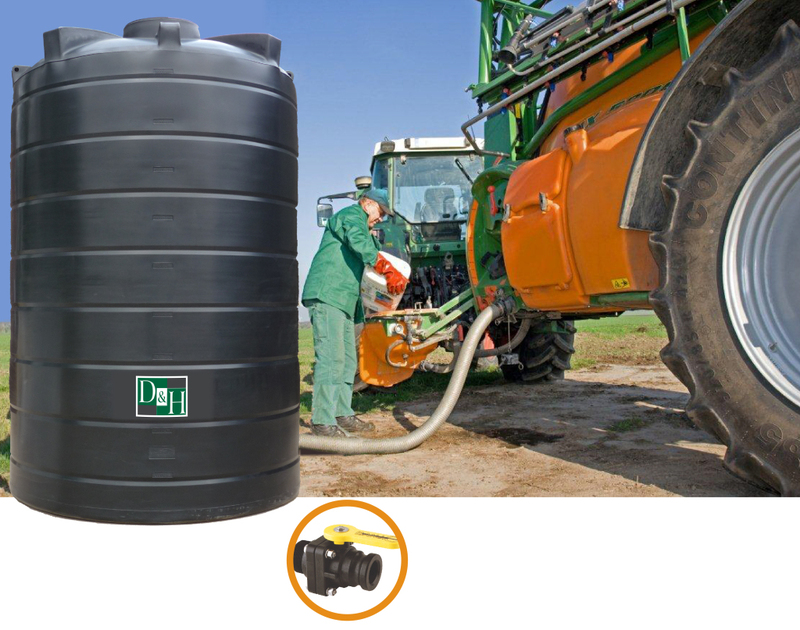 All tanks come with consolidated corners with protection plates, Repair Kit and Instructions. Both installation types are shown above. 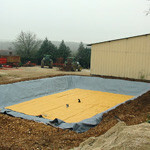 The Above ground installation requres a concrete bund of at least 110% capacity. 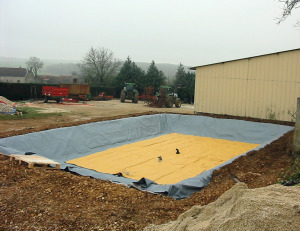 The below ground option is a cost-effective solution to bunding for a Liquid fertilisor tank. 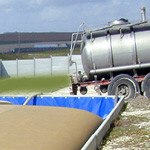 We offer an extensive range of Above ground Heavy duty Liquid Fertislier tanks upto 30’000 Litres. 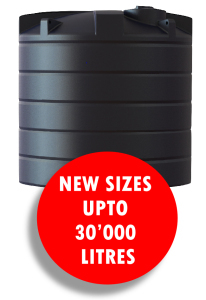 Manufactured from MDPE (medium density Polyethylene) these tank must not be mistaken for Water storage tanks. 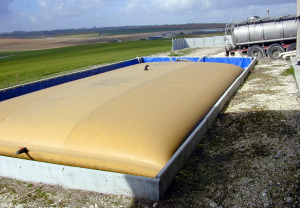 However, we do use the same moulds to manufacturer these tanks, but when we manufacture these tanks, we add additional Polymer into the process to strengthen the storage tank which makes them suitable for Liquid Fertiliser and Liquid Molasses which can be up to 1.5SG.